A train carrying members of Japanese POW group "F Force" (who worked on the Burma-Siam Railway) at the train station in Alor Star, Kedah, Malaysia, 1943. Image courtesy of George Aspinall, Australian War Memorial. The accused was charged with committing a war crime in that he forced 300 British Prisoners of War in his custody, the majority of whom were sick and injured, to enter a train containing no sufficient or suitable accommodation and so caused the death of 7 of them and injured the remainder. 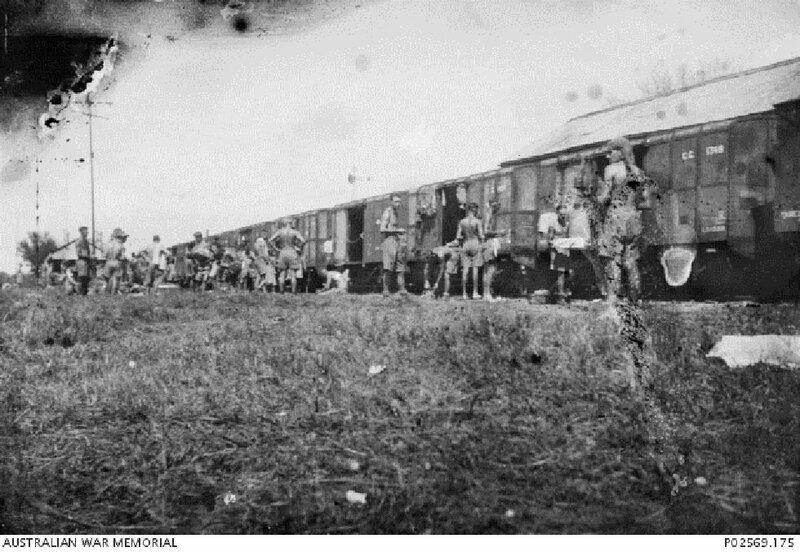 While 12 wagons were expected, only 8 arrived and hence all 300 men were packed into them. 3 of those wagons had stopped about 100 yards away from the designated stopping-point and hence the men were forced to march to them. It was also alleged that the accused allowed the Korean guards under his command to beat and ill-treat the prisoners. In the plea in mitigation, the Japanese doctrine that it was a great dishonour to be taken prisoner was highlighted, along with the fact that the Japanese were told to expect harsh treatment and torture from the Allies if they themselves were captured. It was also noted that the Japanese people had received and were receiving considerable punishment for their crimes in the shape of starvation, and complete subjugation to their enemies. 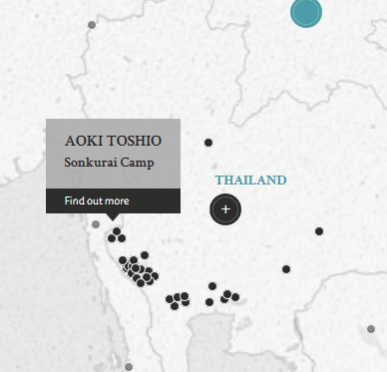 Aoki, Toshio. Sergeant. From Japanese military. From Japan. Guilty. 3 years' imprisonment. Sentence confirmed. Mursell, P.R. Major. From British military. Barrister.